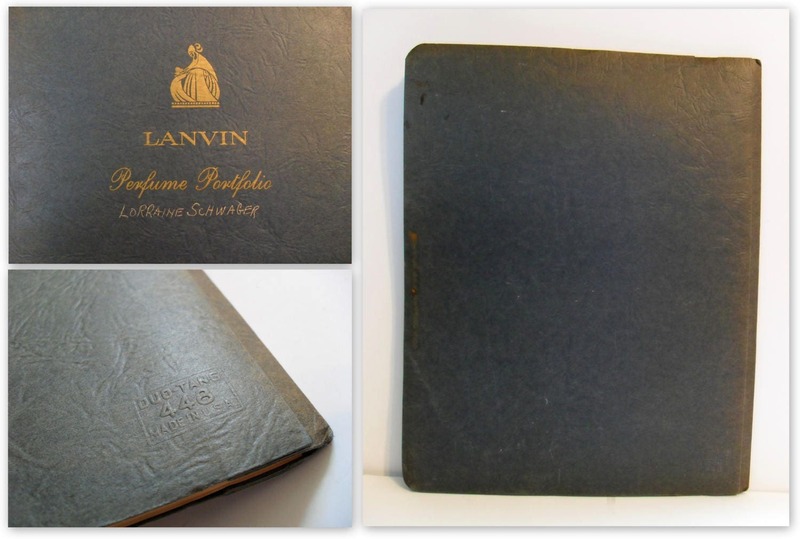 Rare Vintage 1950s Lanvin Perfume Portfolio Employee Perfume Guide - Company Overview & Fragrance Descriptions. 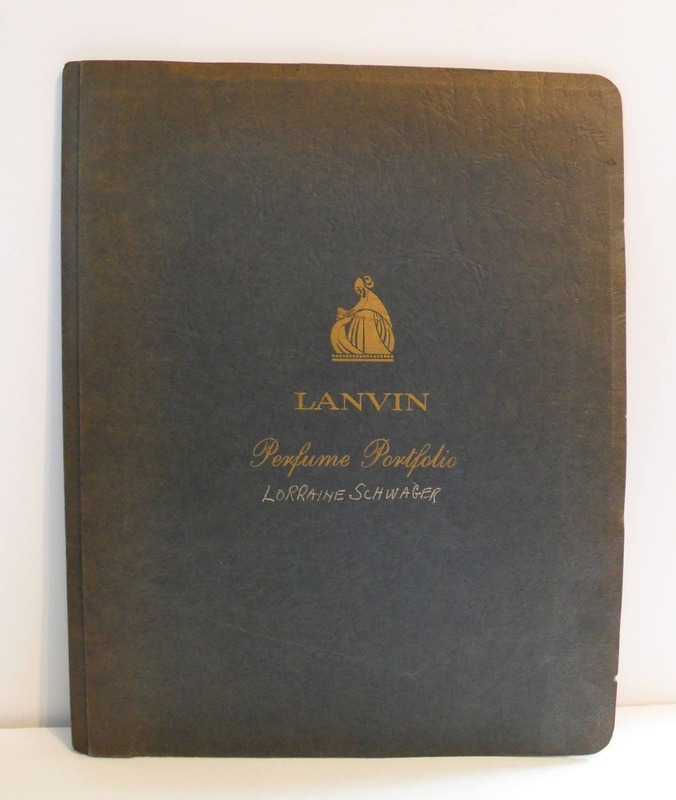 This was a perfume guide for a Lanvin beauty advisor, given to a new employee to help understand and promote the Lanvin perfumes. These guides were not meant for the public and were frequently destroyed or lost to time. 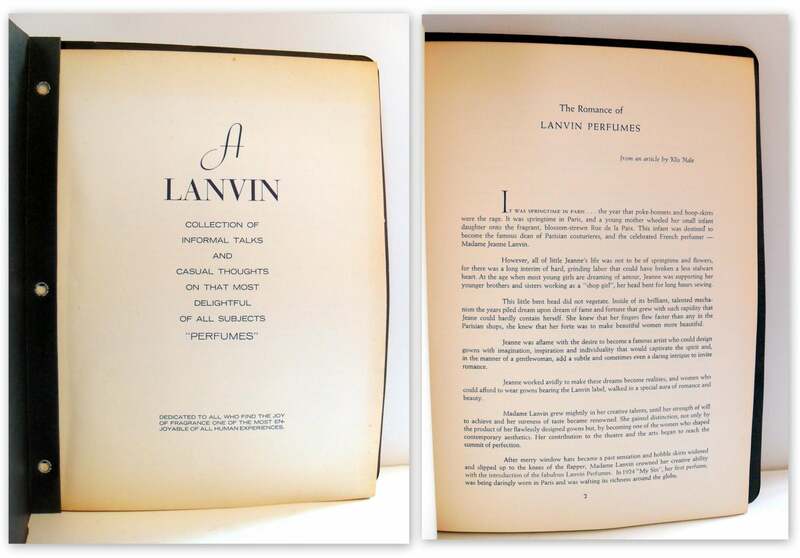 The various Lanvin perfumes are outlined in the guide: My Sin, Arpege, Pretexte, Rumeur, Scandal, Spanish Geranium and the newest Crescendo. The front and back covers are made up of thick textured paper. There is wear to the covers and overall fading. The pages inside show age toning. 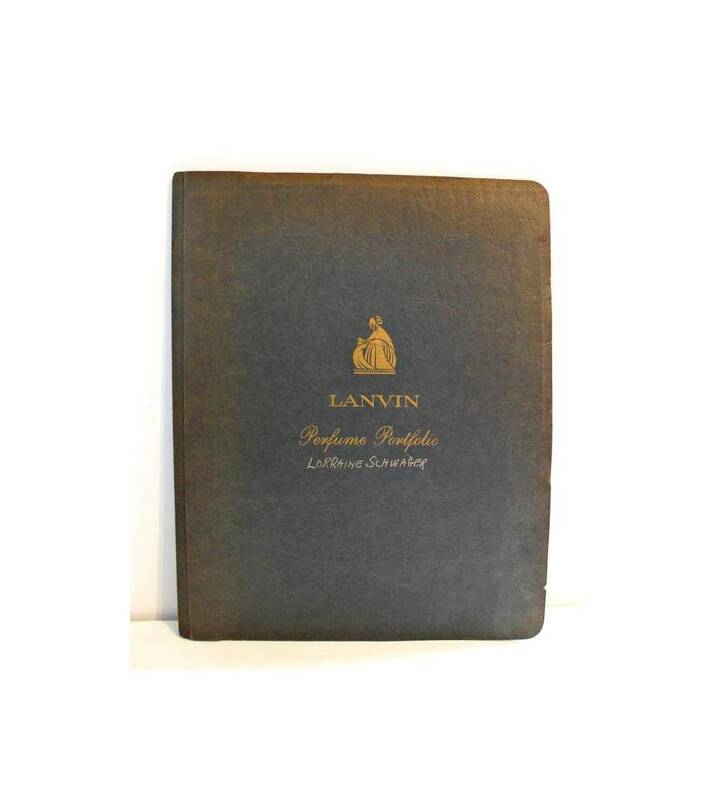 This is a very rare guide for the Lanvin enthusiast!! Unfortunately, there are no illustrations in the guide, just descriptions of the perfumes and their inspirations.